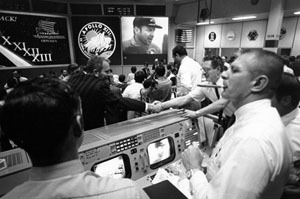 Mission Control during the final 24 hours of the Apollo 13 mission. 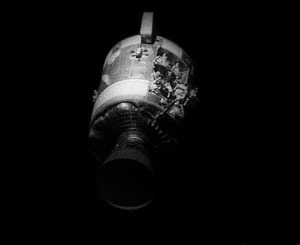 Photo of the damaged Apollo 13 Service Module. 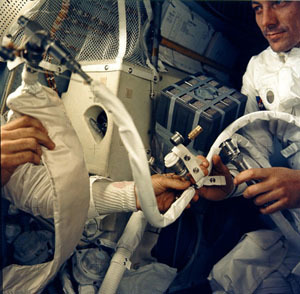 Astronaut John L. Swigert holds the jury-rigged lithium hydroxide scrubber used to remove excess carbon dioxide from the damaged Apollo 13 spacecraft.